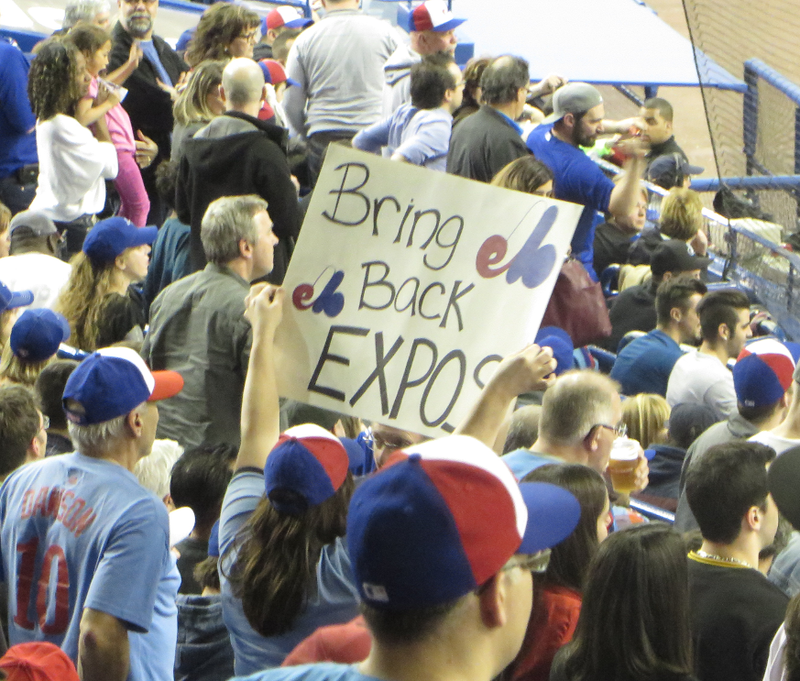 As the Toronto Blue Jays prepare for a pair of preseason games against the Pittsburgh Pirates at Olympic Stadium in Montreal on Friday and Saturday, Montrealers have a lot more to be excited about concerning MLB. The wheels are reportedly in motion for a return of Major League Baseball to the city of Montreal, Frederic Daigle of the Canadian Press reported on Wednesday. A group of Montreal investors appear to have everything they need to bring a team back except, you know, a team. For now, anyway. “I can tell you we are no longer looking for investors and that we believe we have all the ingredients to be able to welcome a team, be it an expansion one or one that already exists,” an anonymous source told the Canadian Press. The investors have the financial backing, plus support from two levels of government. Any serious bid for an MLB team in Montreal will have to come with a new stadium, as Olympic Stadium simply isn’t a viable option for Major League Baseball anymore. Luckily, this group of investors appears to have several options they’re mulling over with regard to where to locate a new stadium and what it could look like. Right now I’m imagining a bunch of guys in suits waiting around a big red phone. Montreal has been without a Major League Baseball team when the Expos left in 2004 to become the Washington Nationals. A franchise relocation could be what gets Montreal a team back, with a pair of American League teams in Oakland and Tampa Bay being the most obvious possibilities. Tampa would be the most seamless transition as far as Montreal is concerned, given that they could slide into the Rays’ spot in the AL East Division and set up a natural rivalry with Toronto. Whether it be expansion or relocation, there are a number of reasons why Montreal could make it work this time around. Getting a new team outside of Olympic Stadium would be a smash hit with Montrealers who love being outside on a summer day. There’s also already a baseball culture in the city, with a fanbase that’s starved for another professional franchise. Population-wise, Montreal is a no-brainer as well. Montreal has an urban population of over four million people, making it the 16th-largest in Canada/USA, and the biggest city without an MLB team. So while it’s far from a done deal right now, you have reason to start getting excited.